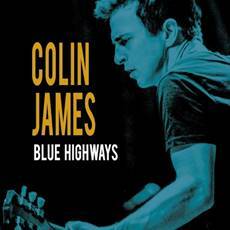 Six-time Juno Award-winning singer/guitarist/songwriter Colin James will release his 18th album, Blue Highways, on October 14 via True North Records, distributed in the U.S. by E1 Entertainment. Blue Highways was co-produced by Colin and Dave Meszaros (Wake Owl, Old Man Canyon) and recorded at The Warehouse Studios in Vancouver. 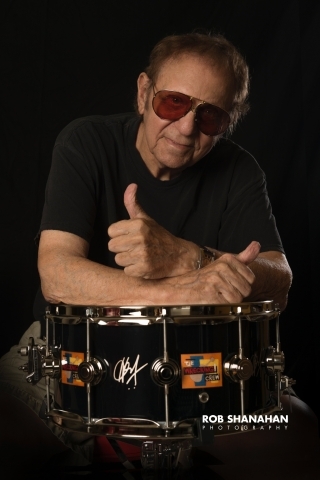 The new album pays tribute to some of Colin’s long-time blues idols, including Howlin’ Wolf, Jimmy Reed, Freddie King, Jr. Wells, Buddy Guy, Peter Green, Robert Johnson and William Bell to name a few. In the spring of 2015, Colin wrapped up his “Hearts on Fire” album tour. After a couple of months of straight touring, Colin was loving playing with the band and really happy with the sound they had created on stage. What better time to make an album? Especially the album Colin had been itching to make for years - a collection of some of his favorite blues tracks. In less than a week, Colin and his touring band went into The Warehouse Studios in Vancouver, and in just two days, Blue Highways was born. The lead single, “Going Down,” inspired by the great Freddie King, features Colin James (vocal/lead guitar), backed by Geoff Hicks (drums), Steve Pelletier (bass), Jesse O’Brien (piano) and Craig Northey (rhythm guitar). Already inducted into the Canadian Music Industry Hall of Fame, Colin James has been named as an inductee into the 2016 Western Canadian Music Hall of Fame. In addition to this honor, Colin will be headlining the Western Canadian Music Awards Show on October 13.